I love sprouts! Who doesn’t love fresh foods grown in their very own kitchen? Well if you feel daunted by the task, check out this post on how to easliy grown your own at home.. 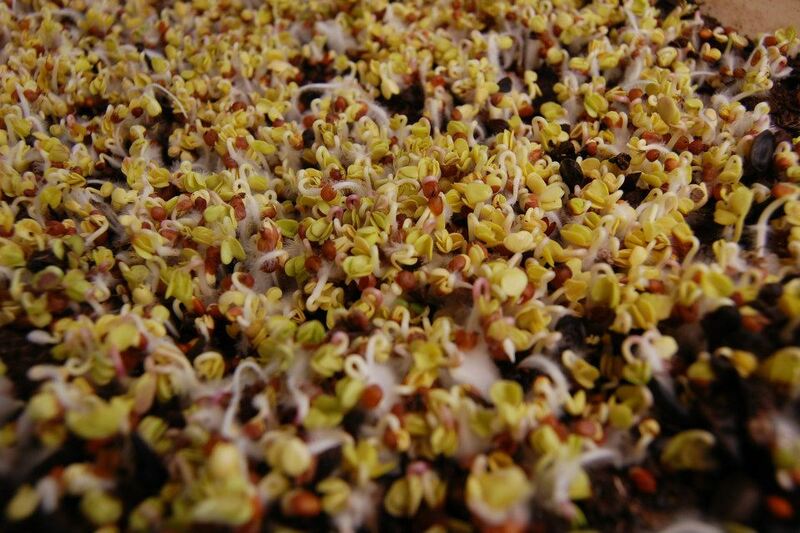 There are 2 ways to grow sprouts. 1 is in dirt and the other (much easier) is to grow your own sprouts in jars. To grow them in jars, all you need is some 32 oz. 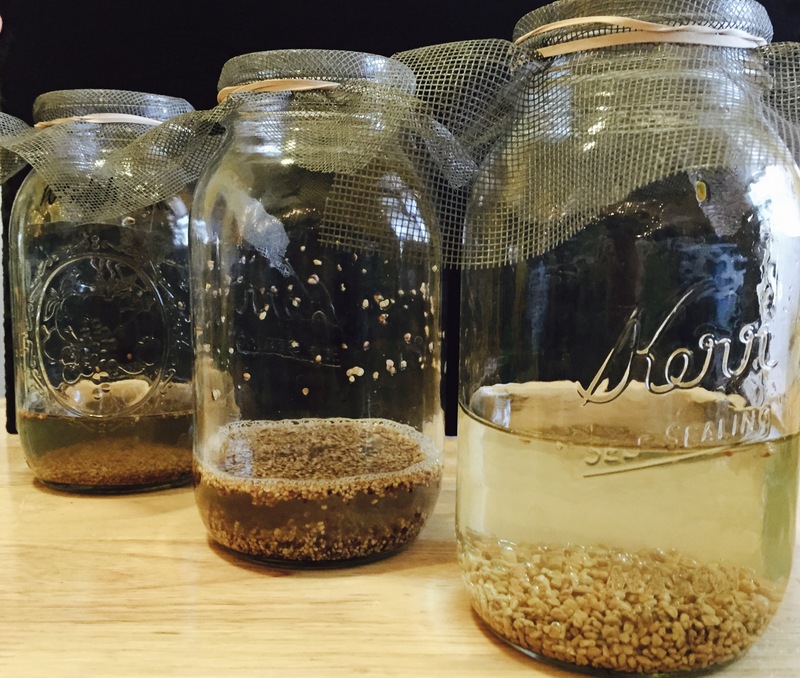 (1 liter) sized mason jars, some mesh screen form a hardware store, rubberbands to secure the screen and some sprouting seeds such as alfalfa, clover and broccoli. Then soak about 1 TBS of the seeds in the jar and add enough water to cover plus a bit more. Let sit overnight in the water, then drain them and turn them upside down at an angle (with the screen fastened in place0. Rinse the sprouts morning and evening and keep them upside down to drain at an angle when not rinsing. After about 5-7 days, you will have a lovely jar full of sprouts. Rinse them well in a big bowl of water and clear away any un-sprouted seeds or hulls from the water. Then put the sprouts back in the jar, cover them with a folded paper towel and place a solid lid on the jar. Turn the jar upside down and store in your refrigerator until ready to eat. The paper towel will absorb any water from sprouts. Is your gut prepared for flu season?